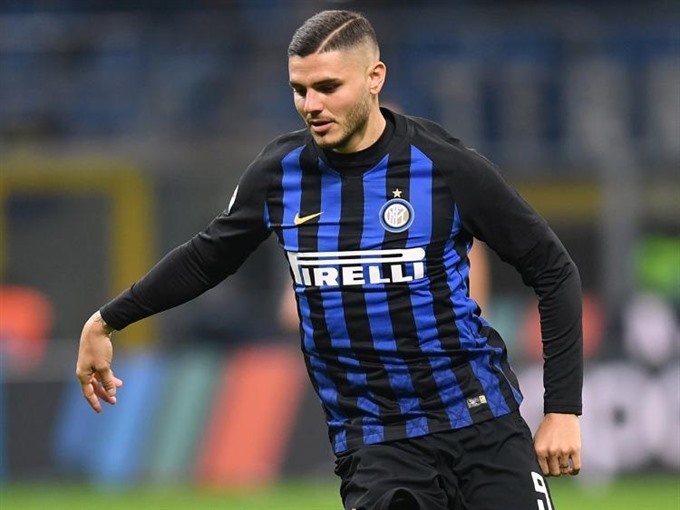 MILAN -— Inter Milan’s Argentina striker Mauro Icardi won the Serie A Footballer of the Year award at the Gran Gala del Calcio ceremony in Milan on Monday night. The 25-year-old becomes the first player outside Juventus to win the Italian Players’ Association award, voted for by his peers, since Zlatan Ibrahimovic with AC Milan in 2011. Icardi was joint top scorer with Lazio’s Ciro Immobile in Serie A last season with 29 goals. "It’s a group of great men, with a great club behind us," said Allegri, who has won the award four times. "I’m fortunate to have worked with so many marvellous players and tonight I see the maestro Andrea Pirlo too." Allegri’s side are on track for an eighth straight Serie A title, with Allegri hailing the impact of five-time Ballon d’Or winner Cristiano Ronaldo who arrived last summer. Portuguese star Ronaldo finished runner-up to Croatia’s Luka Modric in this year’s Ballon d’Or prize which was awarded in Paris on Monday. Fiorentina’s Italian international defender Alia Guagni won the Serie A women’s Player of the Year award.